Battenfeld Intersection Improvements – KC Engineering and Land Surveying, P.C. 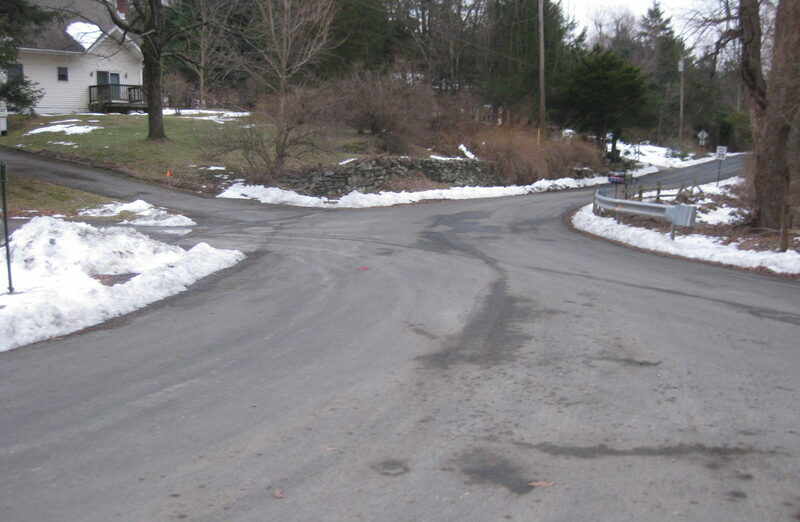 The skewed T-intersection of Battenfeld Road and Shookville Road was neither controlled nor striped. The intersection also had sight distance limitations on the Shookville approach and the southerly approach of Battenfeld. KC explored a few alternatives to improve the intersection for the safety of drivers and also help achieve better sight distances. The sight distance to check for on-coming vehicles traveling north on Battenfeld was very limited. The large trees and brush (on the right) behind the guardrail were therefore removed and the approaches narrowed. 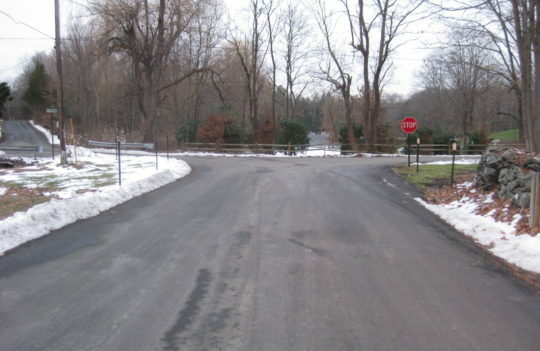 A stop sign was added for the southbound vehicles on Battenfeld Road.